Bobby Eugene Howard was born on May 13, 1957 in Claremore, Oklahoma to Virgil C. Howard and Dorothy Etta (Fidler) Howard. 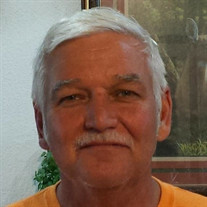 He passed from this life on Saturday, February 9, 2019 in Collinsville, Oklahoma at the age of 61 years. Bobby was raised and educated in Collinsville, Oklahoma and graduated with the Collinsville High School Class of 1976. He was married on November 15, 1976 in Claremore to Ina Mae (Hamlin) Howard. Bobby spent most of his working life as an A.S.M.E. welder & steel fabricator, going into business with his brothers Jay and Vigil with Rahm-Fab and eventually opening EconoMasters in Tulsa, Oklahoma with his brother Virgil in 1992. He enjoyed a variety of pastimes such as working his land, hunting and fishing, but most of all he loved spending time with his wife, children, and grandchildren. He was preceded in death by his parents, Virgil and Dorothy, brother, Jay, and brothers-in-law, Eddie and Phil. Funeral Service will be held 2:00 p.m. Friday, February 15, 2019 at Rejoice Free Will Baptist Church in Owasso with Herman Wood officiating. Interment will be held at Ridgelawn Cemetery in Collinsville, Oklahoma. In lieu of flowers the family requests that donations be made in Bobby’s memory to a cancer research charity of your own choosing. Arrangements and services were entrusted to Mowery Funeral Service of Owasso.